What Is the Difference Between Promotional and Corporate Gifts? In business regime, gifts are an exceptional way that help customers perceive your brand positively. Nonetheless, all gifts differ. Corporate and promotional gifts are popular marketing tools. They are believed to be same but are not identical. Get to know the difference between promotional and corporate gifts, so as to reap best rewards of efficient gifting and keep customers happy. Both promotional and corporate gifts are effective marketing tools, which encourage consumer loyalty but serve totally different purposes. Let’s get familiar with the difference on the basis of its purpose, quality and price. Printed corporate gifts Singapore create goodwill, show appreciation and nurture corporate image among suppliers, customers, personnel and key stakeholders. Price – Corporate gifts are generally reserved for executives of another company. Your business representative will offer the gift, when they meet. Corporate gifts are even offered to loyal and valued clients. Quality – Corporate gift items are of exceptionally high quality. They are made from leather or electronic items that help to show recipients how worthy they are to your company. Items chosen are few, so quality is the main focus. 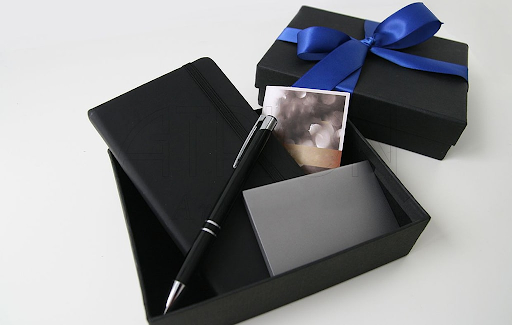 Purpose – Corporate gifts are offered to clients or employees, who have been with your business for years. They are the best way to show your appreciation towards the work they accomplished for years towards company success. Corporate gifts aim is to display your gratefulness, so they will need more though as well as personalisation to be effective. The target market of corporate gift is very different in comparison. Corporate gifts have value and quality because they aim to create brand awareness amongst recipients of same caliber. Cheap corporate gift will ruin the brand image. The main aim of promotional gift is to creating awareness about your brand through a lot of exposure. As promotional items act as ongoing ads, it is necessary to choose the right one. Price – Promotional gifts are generally inexpensive items as they have to be distributed in mass quantities at expos, conventions, and other events. Quality – Usually, the quality of promotional gifts is lower than the corporate gifts. Items chosen are lasers, key chains, pens, etc. These don’t last long. Items like T-shirts, caps, bags, cooler boxes, balls, juice bottles, etc. are manufactured in vast quantities for masses, so less personalization is needed. Purpose – The goal of promotional gifts are to market company goods and products. Usually, these are given to audiences at events or trade shows as thank you gifts for visiting your booth or inquiring about your brand. Promotional items need to be practically used on daily basis to gain more and more exposure. Wide exposure will help to increase the chances of grabbing attention. Therefore, pens have become popular choice because they are small, cheap and hold high practical importance. It is clearly visible that promotional and corporate gifts serve different purposes but both have equal value.